If you’re even remotely familiar with Old West lore, you’ve heard the name of Wild Bill Hickok. He is one of the staples of Old West legends, though until recently, I hadn’t heard how he became the famous gunslinger we know today. So here’s the story. The man known as “Wild Bill” was born James Butler Hickok on May 27, 1837, in Homer, Illinois (now Troy Grove, Illinois). By age 18, Hickok moved from there. Among his various jobs, he worked as a constable in Monticello Township, Kansas, and eventually took a job with the freighting company of Russell, Waddell, and Majors (the parent company for the Pony Express). At the outbreak of the Civil War, he joined the Union Army and served in various capacities including scout, police detective, and a spy who went behind Confederate lines. It was at the end of the Civil War when Wild Bill’s “stardom” came about. 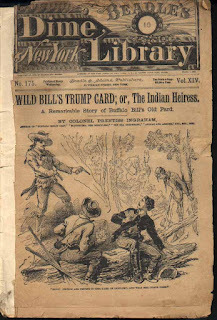 The war ended in April 1865, and by July of the same year, Wild Bill was haunting around Springfield, Missouri, gambling in the saloons and poker rooms there. A friend of Hickock’s from before the war, Davis Tutt, was also in Springfield. 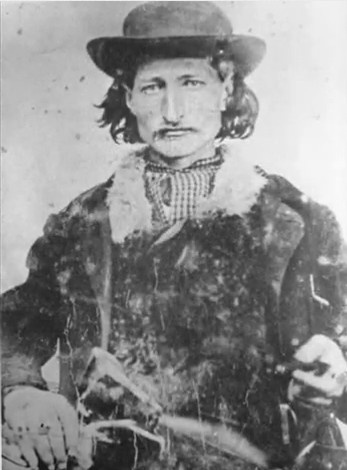 Tutt had served with the Confederate Army, which may have contributed to the tensions that would ultimately make Wild Bill famous. On July 20, 1865, Hickok was playing poker in the Lyon House hotel when Tutt confronted him about a $35 debt Tutt said Wild Bill owed him. Hickok disagreed on the amount, stating he held a “memorandum” that showed the debt was for $25 instead. Hickok tried to produce the paper, but Tutt grabbed Hickok’s Waltham pocket watch from the poker table and promised to hold it as collateral until the issue was settled. Hickok grew irate and told him not to wear the watch, or he would be shot. The following day, the pair argued back and forth and eventually met to discuss the issue over a glass of whiskey. While neither seemed anxious for a gunfight, they couldn’t reach a resolution either, so Tutt left in frustration. At about 6 p.m., Tutt appeared on the street near the courthouse wearing Hickok’s watch. Wild Bill stepped out from the other side of the town square, warning Davis Tutt, “Don’t come over here wearing that watch!” Tutt didn’t comply with the warning, and the two men came within about seventy-five yards of each other before they drew and fired. Two gunshots sounded so close together, the bystanders almost couldn’t distinguish that there were multiple shots. Tutt’s bullet flew high, missing Wild Bill all together. Hickok’s bullet struck true, lodging in Tutt’s heart. The mortally wounded man is reported to have gasped, “Boys, I’m killed,” just before he staggered a few steps toward the courthouse and dropped to the ground. In all, the deadly episode lasted only seconds. Hickok was arrested on manslaughter charges, and the following month, he stood trial. Tutt’s friends testified that Wild Bill approached the deceased man with his gun drawn and shot in cold blood. 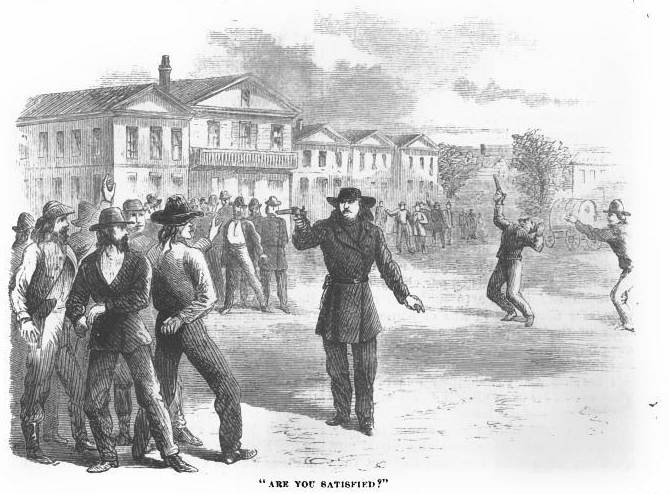 Hickok’s allies testified that they’d both drawn their guns and shot at the same time. Tutt’s pistol was introduced into evidence, and the fact that it was missing only one bullet led the jury to find Hickok innocent within moments of being sent to deliberate. Magazine. Colonel George Ward Nichols wrote the article which exaggerated little in the retelling of the deadly shootout. 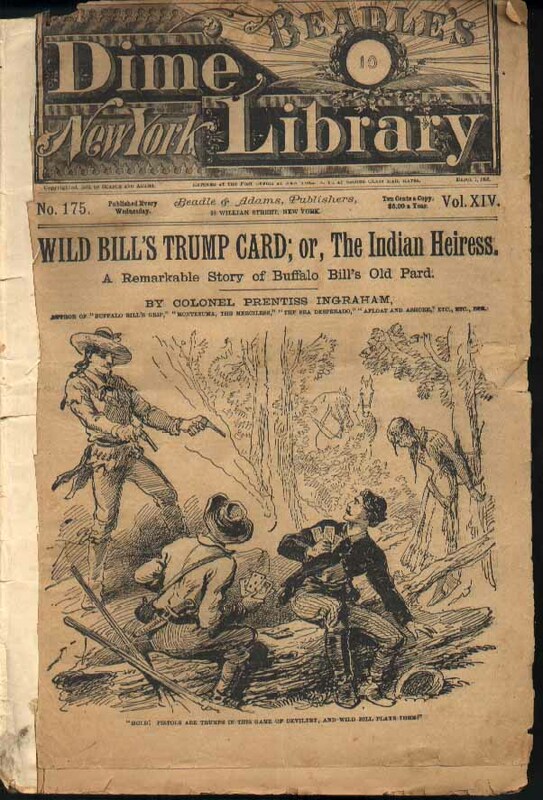 However, in other parts of the magazine, as well as other publications, Wild Bill was painted as the stuff of tall tales and legends. Among the many falsehoods spread about him were the ideas that he’d killed over 100 men and that he fought off a gang of ten bandits singlehandedly. Dime novelists quickly found him to be great fodder for their pages. 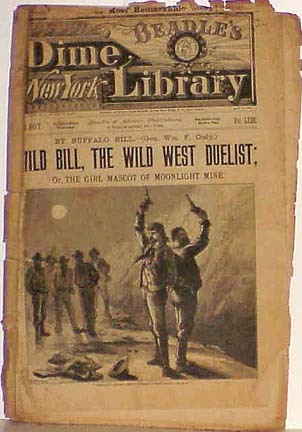 After the trial for the Tutt shooting, Wild Bill went on to work as a wilderness scout, a lawman, a “Wild West” show performer, and a gambler. While he did participate in a few more shootouts in Kansas and Texas in the years to come, Wild Bill met his less-than-glorified end while playing poker in Deadwood, South Dakota’s No. 10 Saloon in 1876. His killer, Jack McCall, sneaked up behind him and shot him in the back of the head. Wild Bill Hickok never had a chance to draw his gun or defend himself. It’s your turn. How do you see Wild Bill Hickok? Was he a hero, a villain, or somewhere in between? Why do you feel as you do? 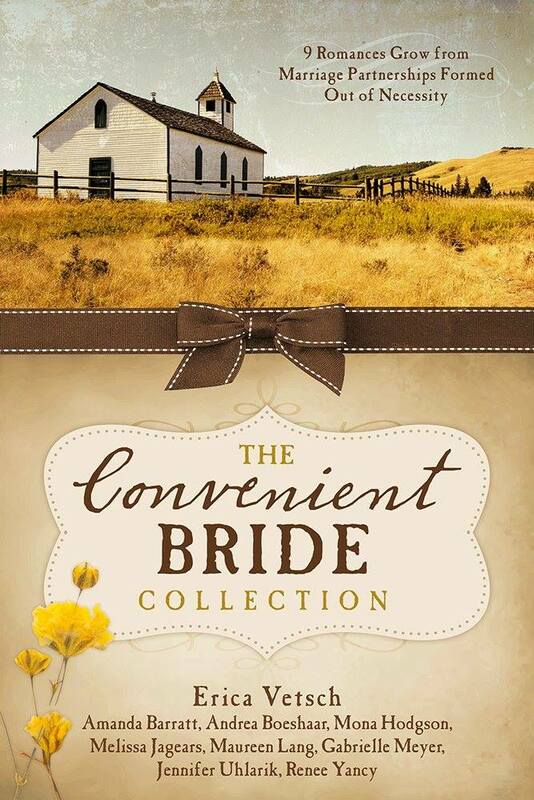 Leave me your thoughts with a valid email address, and I will select one person to receive an autographed copy of either The Oregon Trail Romance Collection or The Convenient Bride Collection. Hm, villain? Not quite, but he wasn't exactly a hero. It sounds like he was a regular man who felt he needed to be true to his word, but his temper might have gotten the best of him. It seems that with the "performing", he may have tried to capitalize on his notoriety, but it also sounds like he tried to stay on the correct side of the law. So maybe he was just a regular guy. Interesting post. Hi Connie, thanks for stopping by! In my research on Hickok, he did seem like a man who preferred to be on the right side of the law, as you say. I think of Wild Bill as a little of both. He was not really a hearo but he was a villian either. I guess you have to look at the point of his life that you are talking about and each situtation. It was his temper that usually got to him as he tried to stay a good person but if you did something against him he would take care of it. Hi Angela. Your reply is so true for most of us. When we can reign in that temper, we avoid trouble. Thanks for your thoughts! Just commenting i loved the stories in the oregon trail romance. I think wild bill as most young men during that time took the wrong way as far as living goes. 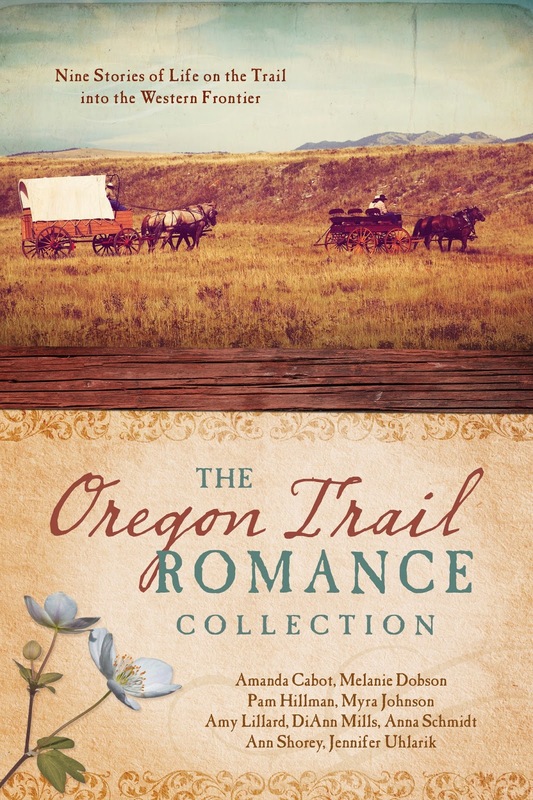 Hi Kim, so glad to hear you enjoyed the Oregon Trail Romance Collection. And yes, it was a wild and often lawless era in our nation's history, with lots of folks making some bad choices. Sure is interesting to read about now, though! 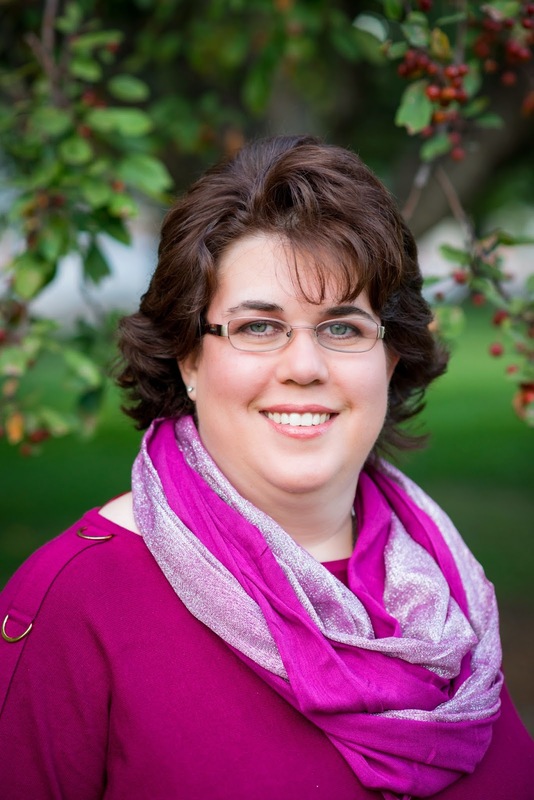 Hi Danielle, so glad you love the posts here at Heroes, Heroines, and History. I learn so much from this blog as well. Such a wealth of knowledge among the posts presented! I enjoyed today's post & I think he was a little of both! Knowing he joined the Union Army and served in various capacities including scout, police detective, and a spy who went behind Confederate lines makes him a good guy, but he also could get into some bad situations too. I think that lawless era would make it hard. Thank you so much, Janet! Glad you enjoyed the post. Thanks for your comments. Deanna Stevens, you are my winner for this month's drawing. Congrats. Please look for an email from me. Wonderful! I do enjoy reading collections & I know I'll love this one... thank you Jennifer! So I have heard some of the tall tales about him ! Don't you think that many people at given times, act in ways that may not always be consistent? A hero one day and then, circumstances cause the dark side to appear. I grew up knowing about Wild Bill but I never knew all of these facts. Thanks for a great post. I would absolutely agree that most people act inconsistently, Connie. I think there's only one Person who has walked the earth who can fully and perfectly fit the bill of "Hero," and His name is Jesus Christ. :) Glad you enjoyed the post!